Motor control interface: PPM signal (RC servo), analog, UART, I2C, USB or CAN-bus. 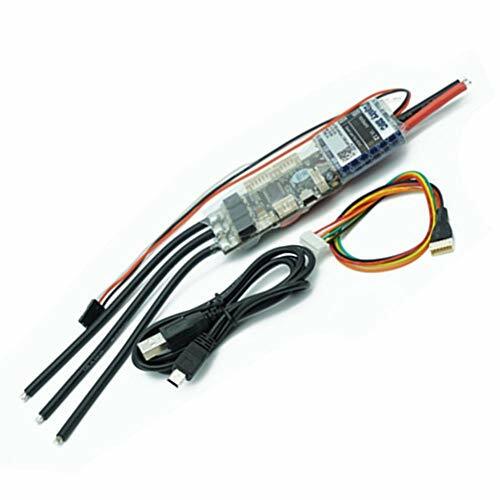 The Flipsky ESC use 3pcs 68Ouf 63V capacitors to keep ESC perform the sensor cable stable when it speeds up or slows down. The PCB adopts a gold-thickening process with a 4-layer.The thickness of each layer of copper foil is 3OZ, and the total copper foil thickness is 3OZ*4=12OZ. If you have any questions about this product by HGLRC-FLIPSKY, contact us by completing and submitting the form below. If you are looking for a specif part number, please include it with your message.